Rheemah on December 24, 2014. Reggie keeps having beautiful fillies! Rheemah (pending) is the fourth filly and the fifth foal of the Silver Omen – Fenwick Regenta cross. 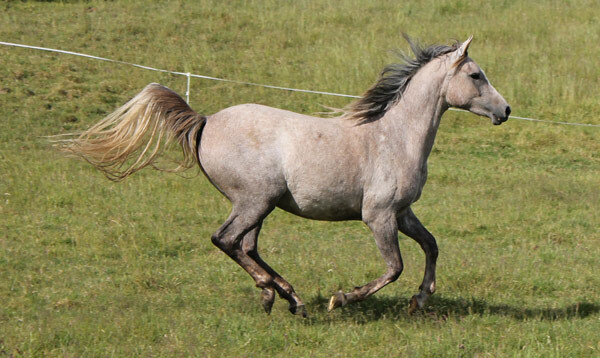 Rheemah is the second grey of the pairing, and is lightening up very quickly. 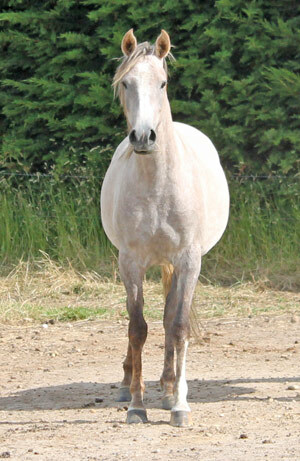 Her eldest sister, Raffeah, is also grey, but in between there is a chestnut sabino (Reniah) and two bays (Rose and Rain Man).